What do you get if you cross a Mustang with a Sledgehammer? Its that time of year again. In preparation for what looks like a great 182, we are holding our annual 'One Day Only' Summer Smash Sale event to clear some space in our yard. 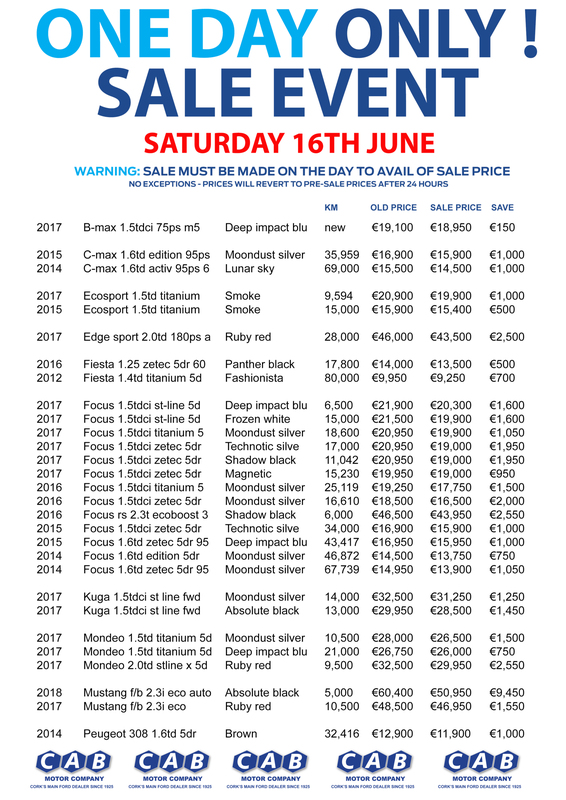 Sale takes place for 24 hours only on Saturday 16th June 2018 but you can have a sneak preview by appointment only on Friday 15th June. We always offer great value as standard (no pun intended) and can arrange great finance and part exchange rates suitable for any kind of budget. Warning: Sale must be made on the day to avail the sail price. All prices will revert to pre-sale prices after 24 hours, so be quick! Please contact us for more information, or to book a preview of the vehicles we have on offer.